When you ask me what Pediatric Dentistry means to me, I can whole heartedly say that it is a privilege to make a positive impact on your child’s and families’ life each and every day. Seeing happy, smiling faces, building trust, and making a difference that lasts a life time is priceless. Laying the foundation for a life time of excellent oral health by having fun, feeling secure and comfortable is what your child and your family deserves. Listening is so very important. My office and I are very good listeners. We listen to your concerns and discuss everything. So please know that your concerns are our concerns. I am a double alumni of New York University, where I earned my Bachelor of Arts degree in Psychology and Biology, and subsequently my Doctor of Dental Surgery degree. 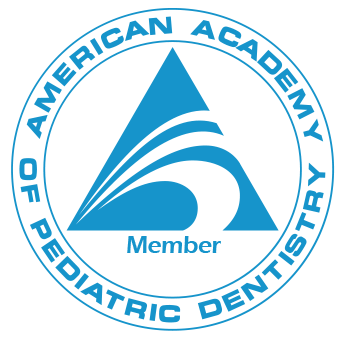 Upon graduation from dental school, I was awarded the prestigious American Society of Dentistry for Children Award, in recognition for excellence in Pediatric Dentistry. Following dental school, I went on to complete a rigorous two year General Practice and Oral Medicine residency at Beth Israel Medical Center in New York City. After Beth Israel, I went on to receive my advanced specialty certificate in Pediatric Dentistry from The University Of Rochester Strong Memorial Hospital Eastman Institute of Oral Health, where I served as Chief Resident. As a senior resident, my research was selected to be presented at The American Academy of Pediatric Dentistry Annual Meeting in San Diego, CA, where I was privileged to win one of the top five prizes. I am a Board Certified Pediatric Dentist. Becoming a Diplomate of the American Board of Pediatric Dentistry and a Fellow of the American Academy of Pediatric Dentistry, has always been very important to me. This is a prestigious achievement in Pediatric Dentistry, and attaining this demonstrates my commitment to my profession, and most especially to you. Continuing education is an important part of my being a Pediatric Dentist. This life long learning process allows me to provide you with the most current and up to date treatment for your child. I regularly attend courses offered by The American Academy of Pediatric Dentistry, and The American Academy of Pediatrics. There may be a time when, and in certain situations, a child needs care in a setting other than my office. It is for these reasons that I maintain active Medical Staff privileges at Nyack Hospital. In addition, to being a member of the Attending Staff, I also serve on the Operating Room and Continuing Education Committees. I am very active in our community. I have close relationships with my Pediatrician colleagues, and provide educational materials and consultations on children’s oral health. You will also find me out and about at preschools and daycares educating the children about good oral health. My office and I organize and sponsor charities. We believe in and are committed to our community and it is our pleasure to give back. Our fall charity, “Halloween for the Troops” was so successful it was extended past Thanksgiving. This allowed our service men and women overseas to enjoy the goodies and necessities they crave being so far from home. In honor of Breast Cancer Awareness Month, we donated comforting and caring necessities to Nyack Hospital’s Breast Cancer Center. My office’s next charity event will take place in February, in honor of National Children’s Dental Health Month. It is our pleasure to participate with Alex’s Lemonade Stand. I am inordinately blessed to have such a wonderful family. I am a born and bred New Yorker, having grown up in Brooklyn. Family is very important to me. In fact, Ruth, my Practice Administrator, and I are sisters; and Vivian, our Mom, is the Financial Coordinator. Don’t be surprised if they answer the phone when you call. You can see why we understand that every child is part of a family, and the greatest compliment you can give is to allow me to treat your child. From your first hello, you will always hear a kind, cheerful and helpful voice. 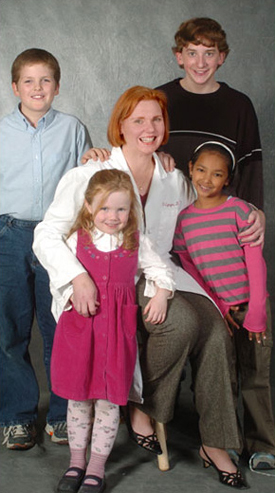 We truly care and are passionate about what we do, and strive to make your child’s visits positively memorable. We look forward to welcoming you and your child. Ruth is the friendly face who welcomes you to our office. Her sparking personality, and friendly voice shines through from when you first speak with her. Ruth’s guiding principle is to make your and your child’s experience a positive and happy one. You feeling valued and appreciated, and your child’s happy smiles are her highest priority. An excellent resource for you, Ruth will assist you in making sure that your child’s treatment needs are addressed, and your child stays ontime for their regular preventive care appointments. She will see to it that your appointments are scheduled conveniently with respect for your time. Ruth’s accomplishments from the corporate world coupled with her innate talents, are the reasons dr. fern lured her away from corporate for them to work together. 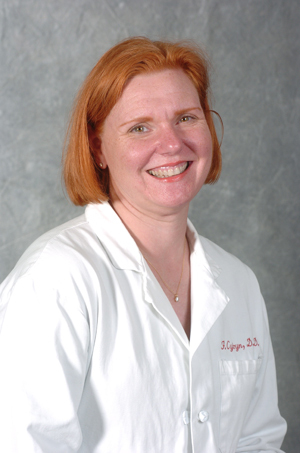 Ruth holds a Bachelor of Science degree with Honors in Information Technology, a Masters of Business Administration in Taxation, as well as a Masters of Science in Health Systems Administration. Ruth looks forward to building a relationship with you, and watching the joy and confidence in your child as they grow.